Paella was originally a laborers' meal, cooked over an open fire in the fields and eaten directly from the pan using wooden spoons. Seafood is rare in the fields of Valencia, which is why they used chicken, rabbit, duck and snails. Snails were the most commonly used meat as they were cheap. For special occasions, rabbit or duck would be added and the well-off would add chicken. Anyone that tries to tell you that the original paella was a seafood dish is wrong. Paella originates in Valencia, Spain and the name of the dish refers to the actual pan. 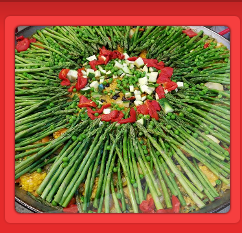 The dish symbolizes the heritage of two cultures, Roman, where the pan a flat dish called patella originated which evolved to the name its called today paella (pronounced pah-ay-ya) and Arab the source of the basic ingredient, rice. Paella is a classic Spanish dish comprised of rice, stock, saffron, and a variety of meats, shellfish and vegetables. 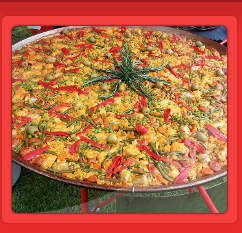 All are cooked in a large paella pan, outside over an open fire. 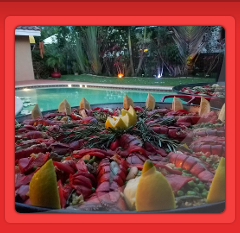 As a leading provider of classic paella in Fort Myers, FL, we take pride in offering the best and freshest paella catered your way. We are dedicated to serving the needs of our customers each and every day. 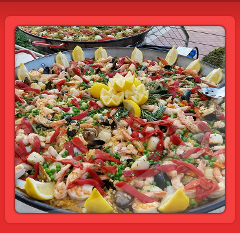 Señor Pepe's Paella catering offers various types of paella's. In addition to the ingredients below (and of course, the rice), paella will include vegetables-often peppers, tomatoes and green & white beans. Paella de Marisco: seafood paella. The fact that paella valenciana came first is not to say the seafood version is not 'authentic'. Our seafood paella contains prawns (shrimps), sea scallops, fish, mussels, clams and calamares (squid). Lobster tails are (optional) and can be added to any paella. Paella Mixta the best of both worlds. It's a mixture of meat and seafood. Paella Vegetal/Vegan Spanish cuisine has broken from its typical mentality by providing a vegetarian/vegan paella as well. Call, Text or email us for a quote. (20 person minimum per order) book your event early.